Eugenia Flynn is a writer, arts worker and community organiser. She runs the blog Black Thoughts Live Here and her thoughts on the politics of race, gender and culture have been published widely. 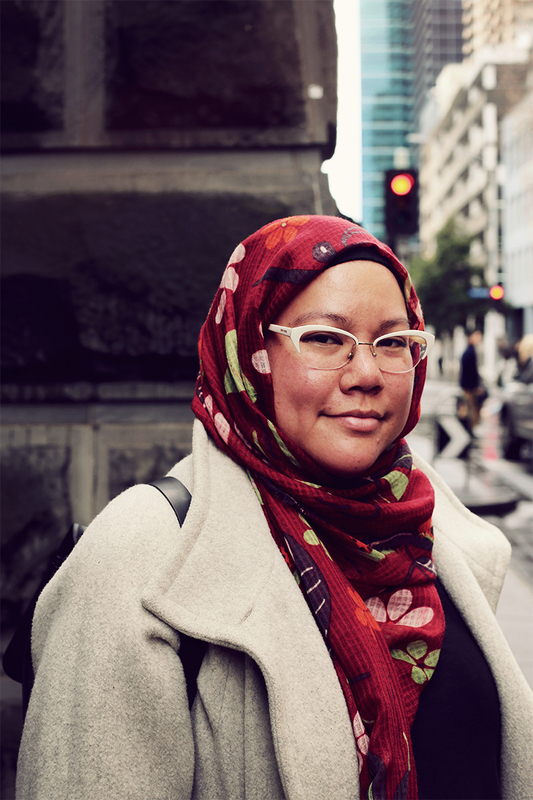 Eugenia identifies as Aboriginal, Chinese Malaysian and Muslim, working within her multiple communities to create change through art, literature and community development. Eugenia spoke to Cher Tan about decentering from whiteness, using the arts as a platform to enact lasting political change, and creating art with both the self and community in mind. 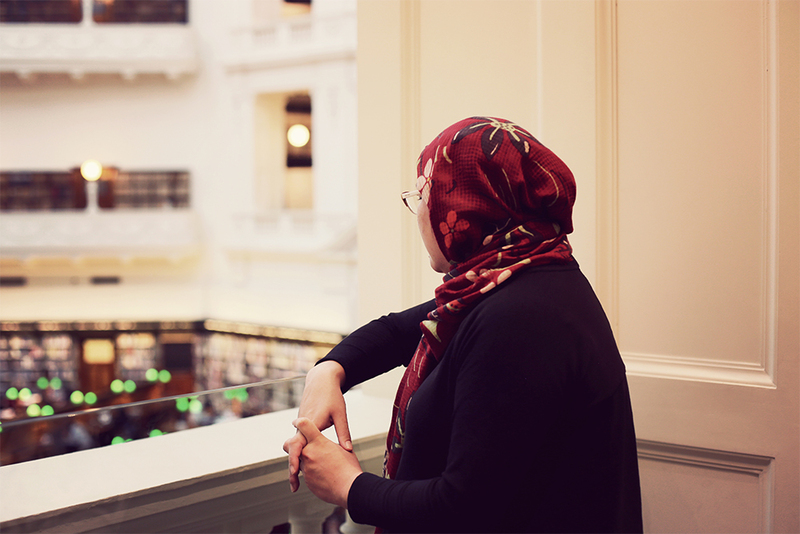 You have curated exhibitions, managed arts projects and community organisations, and mentored—as well as written incisive commentary on the politics of race, gender and culture. How did it all begin, and how did they all come together to form the multidisciplinary practice you call your own now? Well, I suppose in a country such as Australia, being non-white means being automatically racialised and this goes hand in hand with being political as a response. I grew up in a household that was involved in community organising, but it was also never far from culture and the arts. I owe a lot to my oldest sister Bee who worked in the arts from when I was about 10 or 11. She took us younger siblings to a lot of events, galleries and festivals which got me involved in the arts at a young age. For a lot of us, the arts is about sharing our stories our way; recently, a highly respected actress and theatre-maker I know was sharing her view that Aboriginal storytelling through film, theatre and the arts is never “art for art’s sake”. It always has a political or cultural purpose. I couldn’t agree more. When we think about art in this way, we can then begin to realise that the arts and politics go hand in hand, whether that's explicitly spelled out or not. To answer your question about how it all began: I started doing radio as a 15-year-old and then helped out with organising events and festivals. That led me to running a youth performing arts company called Kurruru Youth Performing Arts. It was during this time and afterward when I began working at other arts organisations—producing other people’s work and supporting them to build their skills, agency and voice through the arts—that I stopped and realised how frustrated I was. I really wanted to share my own voice and tell my own stories through the arts, which started by simply sharing my thoughts and perspectives in a more politically explicit way on issues such as race and racism. But my writing has grown since then to other forms, which I am really enjoying. I have also done a bit of writing that reflects on the arts and culture sector, sharing my unique perspective through arts criticism... coming full circle in a way. What contexts do you think you bring to your work? I'm especially interested in how you draw from academia, aesthetics and community—how do you find a common thread between those forms or connections, and then translate them in a way that makes sense for an audience? First and foremost, I bring my cultural contexts to my work. That’s why I put my cultural and religious identities in my biography, even though this may be seen as crass or too pointed. I understand and agree that as artists and writers we want to be valued because our work is good, not just because of our cultural designation. For me however, I know that my work is unique because I bring that cultural context to my work. It's what makes my work what it is; I also know that my work is good and valued in a way that goes beyond ticking a box. If I ever get a sense that my work is being sought after because it ticks a diversity box I will disengage, it’s as simple as that. Then, after that, I bring a lot of other contexts to my work. I think my work with community organising and politics—in the arts and cultural sector, and my more recent foray into academia—are all examples of how so many of us are able to switch between multiple contexts easily. I find a common thread through the mere fact that in response to being racialised, so many of us are political. Translating that for audiences is about firstly writing for myself. That’s how I started writing and this is how I will continue. I think about myself—what I want to share, what I want to express—and I think, particularly, about my “ideal reader” who I view as a young Aboriginal woman or woman of colour. If I can get through to that “ideal reader” then I have achieved my goal. It can be hard though! I definitely think I have had some misfires, especially as academic writing can be so inaccessible to general readers, so that’s something I have to navigate carefully. You've written on your blog Black Thoughts Live Here since 2010. What kind of changes have you seen throughout this time? So many! I started writing before 2010 actually, but I deleted an original blog I had on MySpace, which I totally regret now because all that writing is lost forever. I think there are so many more diverse voices out there now, which is important, but it also means that finding quality writing can be difficult, and that sometimes box-ticking can happen—especially as the mainstream rush to keep up with what is essentially a “market trend” for diversity. That’s not to put down other writers; I say this to encourage and push us all to think about why we write, how we write, where we publish, and to push for excellence. It is also as a warning to think about what if this “market trend” of diversity goes away? There are already signs that this may be happening and the market already demands particular types of narratives from those of us that it deems as “diverse”. Just think of the happy and grateful refugee stories, or the pity narratives surrounding Aboriginal people. I'm a huge believer in creating spaces for ourselves away from the mainstream, which I am very skeptical and wary of. That’s why I started self-publishing on a blog and why I'm hugely supportive of publications like Liminal, IndigenousX and Peril Magazine. I think since I started, not only has mainstream media opened itself up to diversity, there are also more diverse publishers, websites and publications, which is fantastic. With the advent of social media and the way we use the internet now, it's less about your favoured or trusted media and/or literary source, and more about what piques your interest. In a recent talk at the Australian Contemporary Centre of Art in Melbourne, you spoke about “decentring” [from whiteness] and working against “terminal narratives” especially as racialised peoples. Can you speak more to that? How have you done that personally, and how do you think that's developed over the years? I think I definitely started from a place of not necessarily understanding how whiteness operates. That it's the unnamed and unmarked norm and that everything else is different—the Other. In that regard, a lot of my early work was definitely about the inclusion of difference, the inclusion of diversity into the mainstream where whiteness is maintained at the core, tolerating acceptable versions of difference and diversity. I think as my critical thinking has developed, it has changed the nature of my work to being more about decentring from whiteness and re-centring to my own centres of being Aboriginal, Chinese Malaysian, Muslim and woman. This is so important in moving forward and out of the popular trend of “cultural diversity” and “inclusion” that we have now. We must have multiple centres across society, and we must not be scared of this. I think there are so many more diverse voices out there now, which is important, but it also means that finding quality writing can be difficult, and that sometimes box-ticking can happen—especially as the mainstream rush to keep up with what is essentially a “market trend” for diversity. ﻿Lately, I've been thinking of the role of artists and writers as vessels of infinite knowledge within society. This is especially true of those who comment on politics and who are critics of the status quo—there's a public expectation that they are there to solve the general malaise. What's your opinion on this? How do you confront doubt in your work? I think that being an artist and a writer is a privilege and that with that privilege comes responsibility and accountability to community. I don’t necessarily think of a “public” but I do think a lot about the communities I'm connected with: what they think of my work, if they are positively impacted, and how they engage with it. I also think about all the others out there who do not have as big a platform or as wide a range of influence as I have, but are incredibly intelligent, savvy and critical. I know that there are some expectations on me to use my privilege to create change, but I also know that my community has my back and are happy for me to do whatever it is I aspire to do. In regard to confronting doubt in my work, well, yes, I have huge amounts of doubt about my work! I think it's natural to feel doubt as a writer or artist, but also, self-doubt is a hallmark of being a Black woman and a woman of colour. Finding a happy medium is like an ever-elusive state of being. I would love to exist somewhere between self-assuredness and humbleness, but I’m not sure if I have achieved that yet. In the meantime, I have a very supportive network of people who are both within and outside of the industry. I can talk to them and share my fears and anxieties—it helps to debrief with others and to feel loved and valued by those around me. As you know, we are seeing more and more people speak up against racial and gender inequality in the arts, especially in comparison to the past when conversation wasn't as visible or robust. How do you think we can use the arts as a platform to continue to critically analyse issues surrounding race, gender and identity in Australia? Well, first let me clarify that the conversation has always been incredibly visible and robust in relation to Aboriginal and Torres Strait Islander artists and writers. I think it is fantastic that this conversation has more recently spread to other areas of the arts and culture sector, and I think that as the debate matures—as we all become more literate to ideas of whiteness, feminism and critical race theory—then we can push beyond just thinking about including diverse peoples, and more about how we can decenter white patriarchy. Also, we can use the arts as a platform by focusing on engaging marginalised communities, building up the skills and knowledge of marginalised peoples, arming them with critical and creative thinking and then sending them out to change the world. I think that being an artist and a writer is a privilege and that with that privilege comes responsibility and accountability to community. ﻿Do you have any advice for emerging arts workers? Be humble. Produce good, solid, and consistent work. Find mentors, build supportive networks, and support and give back to your peers and those who come up beneath you. I am inspired by my late mother. The reasons are too many to list—suffice to say she was incredibly strong, resilient, smart, quirky, funny and brilliant. I miss her in ways that are too deep and complex to put into words. By giving myself “rest” days where I stay home, don’t go out, don’t socialise and watch trash television. I like to eat yummy foods, clean and potter around the house. Because I am usually very busy and out of the house, I love coming home and spending time in my “sanctuary”, just being grounded and still. Being Asian-Australian means many things to me. First of all, in a racialised society it means the way I look to others. I'm Aboriginal as well as Chinese, but I'm almost always racialised as an Asian woman when people look at me, which I always find interesting. Secondly, being Asian-Australian is a reminder of the permeable boundaries of “Australia’”and the geographical proximity that this continent has to Asia. I come from multiple generations of Aboriginal-Asian family. I had one great-grandfather from China and one great-grandfather from the Philippines, and of course my mother was Teochew Chinese from Malaysia so it is like being First Nations and both old and new migrant all at once. Lastly, being Asian-Australian means being strongly connected to community and culture both here in Australia and overseas—I love that feeling of connection to others despite how introverted and misanthropic I can be! I had one great-grandfather from China and one great-grandfather from the Philippines, and of course my mother was Teochew Chinese from Malaysia so it is like being First Nations and both old and new migrant all at once. Eugenia’s interview was published in our first print edition. Pick up a copy at our launch, details here.